Did you happen to miss the Weekly Loot this Friday? MMO ATK is giving away a twenty dollar Steam gift card again, so make sure to leave a comment to get your hands on some great Steam related products. If you aren’t the lucky winner this time around, rest assured there are plenty of costless MMO options to look forward to. Not all of them come free of charge initially, but players can be happy to not have to worry about any paid subscriptions with these MMO games. MMO ATK already dabbled in the science fiction genre of MMORPGs. Some people need more than a fascinating story when it comes to gaming though. Luckily, the Steam network offers a variety of action packed titles for the adrenaline junkies out there. We decided to sift through the action filled greatness to bring you ten of the best RPGs, FPSs, and MOBAs that Steam has to offer. Steam and free to play games are becoming synonymous these days. The long list of no cost entertainment is endless, but those looking for action should take a look at Forsaken World. The storyline in this title may not be as epic as some of the big name MMO games, but phenomenal graphics and a unique class system sure deliver something special. A slow XP system has drawn complaints about a slow grind when leveling, but the game does boast a random team generator to help you find options as quickly as possible. This MMORPG clearly took pointers from numerous other popular titles out there. It may not be original, but it?s a great alternative for steam users who may be exhausting their own list of action MMOs. Are you so pent up with action filled adrenaline that you need it right from the get go with video games? Realm of the Mad God might be the perfect choice for you. To say this game isn?t as detailed as its MMO rivals would be an understatement. Graphics don?t make a game exciting though, the action does, and boy does this game have action. It?s fast, it?s free, and it?s fantastic. Sometimes the simplistic nature of a video game goes a long way in overall gameplay. Some players seek games like Realm of the Mad God, where you need to avoid a constant onslaught of enemy projectiles while playing. The lack of variation may make the title get stale faster than you?d hope. Still, when a game is referred to as a bulletstorm MMO, you can be sure it won?t be dull. Vindictus is another free to play title from steam. This hack and slash MMORPG gives players a broad range of class abilities and customizable skills for their primary and secondary weapons. Vidictus follows a set schedule of updates because of its episodic nature. Every episode gives players a new story to look forward to. The most recent update introduced players to a cross gun that will help them deal solid damage while keeping a distance. Vindictus was built on the Source Engine, a popular choice for Steam games like Counter-Strike. For an MMO game, players are given impressive control over the way their character battles, which is important when fighting fierce enemies like armed werewolves and giant polar bears. You will also need to stay attentive to your enemies? attacks, sometimes even having to evade a barrage of deadly blasts the entire battle. If you are looking for full control in a fast pace action filled MMO, look no further than Steam. This free to play online arena game delivers quick rounds of fierce PvP action. 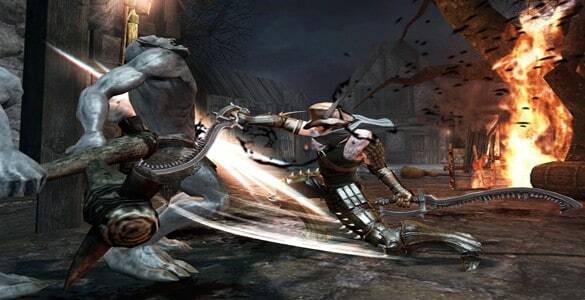 Bloodline Champions is a great choice if you?re looking for an online game that rewards you for your skill, rather than just the time you obsess playing it. Choose from a list of bloodlines that each have exclusive weaponry and unique abilities. This game stresses on straight gameplay without the annoyance of random elements of chance. There is also a great element of teamwork because of how certain bloodlines pair up with each other. Intense stat tracking even allows players to review their tactics and help improve their future performance. Vibrant graphics, intense battles, and a growing player base is more than enough to land Bloodline Champions on this action packed list. The sequel to this successful action MMOFPS was just announced last month. With all the buzz surrounding a future release, now is a great time to check out this free to play gem on Steam. The APB series was brought to life by Grant Theft Auto creator, and was supposed to bring the sandbox greatness of the GTA series to a stable online community. APB Reloaded may not have turned out to be success it aspired to become, but there are gamers playing on Steam right now that would tell any action junkie to give it a try. The game is about to undergo its eleventh update since launch, this time adding more weapons and changing the ranking system to reflect on individual performance better. Players can choose to be on either side of extreme police chases, upgrade vehicles and equipment, and even areas know as ?fight clubs? for intense PvP showdowns. Newcomers should be careful though. This action filled MMO doesn?t mess around. Age of Conan has made our list before and we certainly mentioned the action packed greatness it would deliver. Mounted combat is one of the most exciting draws to this MMORPG, but being free to play certainly doesn?t hurt either. Character progression and a voice acted storyline keep players progressing from one epic battle to another. Using specific methods of combat and strategic angles for attacks give an experience you won’t find in any other MMO title out there. If you?re someone who hates the mundane nature of typical MMORPG auto combat, you will be left very satisfied with the jam-packed competition found in Age of Conan Unchained. The newest title on our list is also one of the most innovative. Defiance is a MMOTPS that takes place in a persistent online world. Wake makes the third person shooter so special is it’s attachment to a science fiction show of the same name. Defiance the game launched before the television series and for the first time players can affect the future storyline of a show they watch by playing a video game attached to it. The choices and overall performances of people playing Defiance this week will certainly affect the plots points of next week’s episode. The game may start slow because of its vague nature, trying to avoid too many television spoilers. Now that both projects are in motion, the gameplay is becoming more satisfying and more players are claiming satisfaction. Defiance was meant for gaming consoles, so PC gamers are having a bit of issues when it comes to reliable performance. Nevertheless, the game is growing in popularity and seems like a good MMO on its own. Regardless where Defiance is headed, players will ultimately find interactive experience that’s the first of its kind. Since going free to play, Dungeons and Dragons Online has been considered as one of the best MMORPGs around, even more than it already was. What puts this title near the top of our list of action MMOs isn’t just the handful of great features it offers, but also the fact that it lacks any bad really bad ones. Players will find endless activity each time they play, whether they’re swimming through dangerous bodies of water or jumping around dark environments to evade an enemies’ attacks. The action for your character is so endless that you can even reincarnate them after reaching end game. It’s rare for people to want to replay an MMORPG the same way they first did, so giving them the ability to use their favorite character again with boosted stats is quite a unique accomplishment. Overall PvP experience can be a bit lacking in this Steam accessible title. Dungeons and Dragons Online makes up for all its shortcomings though. In-depth character creations, detailed PvE battles, and brilliant storylines truly immerse players in the imaginative action that is a role playing experience. If you didn’t see DC Universe Online coming, you haven’t been paying attention to our top 10 lists. DC comics has always been known for its action packed mayhem, literally putting the “POW” in powerful gaming. DC Universe Online has characters from some of the highest grossing action movies of all time, for example. The mere presence of personalities like Batman and the Joker already energize players; providing a way for gamers to control their favorite badass (good or bad) through a variety of phenomenal PvP experiences. Marvel, DC, and the heroes they portray; have used adrenaline filled brawls to support their success for over 50 years. With a track record like that, what better hands could you be in when it comes to action in an MMO game? Is as 2,000 person PvP experience enough action for you? In case it magically isn’t, you’ll be happy to know how much the MMOFPS Planetside 2 has to offer. The fact that it’s still somewhat young and already very popular shows just how well Planetside 2 satisfies players looking for invigorating FPS battles. Player won’t need to run around nonstop to feel the intensity of these MMO matches, although they have plenty of space to use they want to. With maps built on such a huge scale, fans of sniper rifles will have a blast finding those perfect camping spots. If you want the actions of a war but don’t like all the dying that might be involved for your character, Planetside 2 will at least give you the option. It’s up to you to stay unnoticed in the midst of massive MMO carnage though. Planetside 2 is a powerful game that may require a powerful computer to run smoothly. There is no doubting the exciting nature of this stimulating MMOFPS. Add the fact that the title is free to play and you’ve found easily the most exciting action MMO available through Steam right now.